Zika, Dengue, and Chikungunya are all real. There must be a good way to protect the young from these diseases, right? I must say that I am desperate for a simple and affordable solution. We can not guarantee that our home is 100% safe. We could not say that the kids can be protected from all places that they go to. That is why I resorted to a patch that you can stick to children's clothes to protect them. I have nephews and nieces to think about and I can not trust something that has not been proven yet. I used Strike patch for a few days to see what this stuff is all about. It is a mosquito repellant, a stick-on and the package says it lasts for 48 hours. DEET-free as stated in it. I have this habit of looking at the ingredients and materials of food and things that I buy so I researched on DEET. Here it goes..
"DEET is an old fashioned insect repellent which was registered for public use in 1957. It is derived from coal tar and is the most well known insect repellent. It is a synthetic chemical and powerful solvent." "In recent years, concerns have surfaced about the use of the insect repellent DEET. There have been a small number of serious neurotoxic effects reported in small children, as well as documented mosquito resistance and accumulation of DEET in some US public waterway. Many consumers also object to DEET’s strong, chemically smell and the fact that it melts plastic upon contact. This has prompted consumers to seek DEET free alternatives." That gives me a sigh of relief. 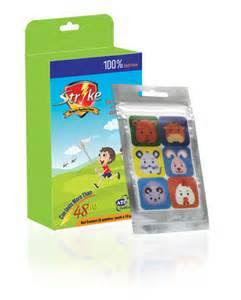 Strike Patch for kids is high content 100% Pure and natural essential oils. I tried it myself, considering that I need it for our mosquito-infested area. The designs are cute and I am sure the kids will voluntarily stick it to their clothes just like they are playing with stickers. 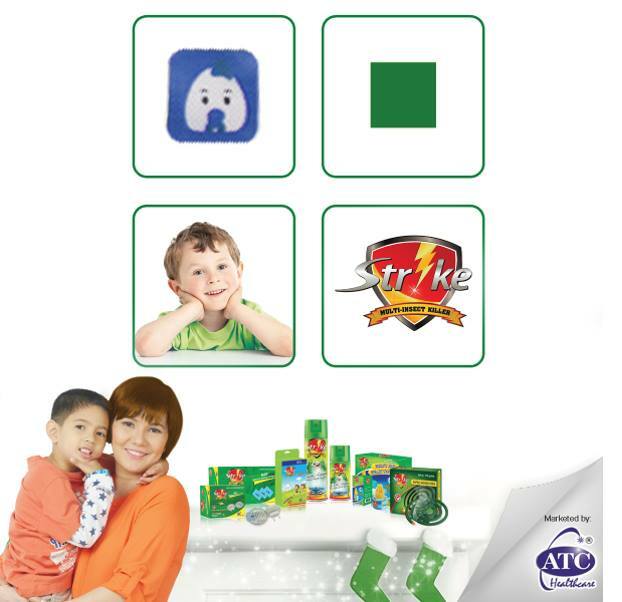 In case you're wondering.. Strike Patch is available at 10’s per box for P380.00 and 2’s for P76.00. Available in all SM Supermarkets and other leading supermarkets nationwide.